Everything you need to know about MLB 14: The Show. MLB 14: The Show is an upcoming, officially licensed Major League Baseball video game that is currently in development by SCE San Diego Studio exclusively for Sony and their PlayStation 3, PlayStation 4 and PS Vita platforms. The game is currently set to be published by Sony Computer Entertainment. MLB 14: The Show will be launched on April 1st on PlayStation 3 and PS Vita, and some time in May 2014 for the PlayStation 4. MLB 14: The Show was first announced on November 4th of 2013 via the official PlayStation Blog alongside various screenshots which showed a comparison between the PlayStation 3 and PlayStation 4 versions of the game, focusing on the improved rendering capabilities of the PlayStation 4. Thus far details remain sketchy surrounding the games new features. 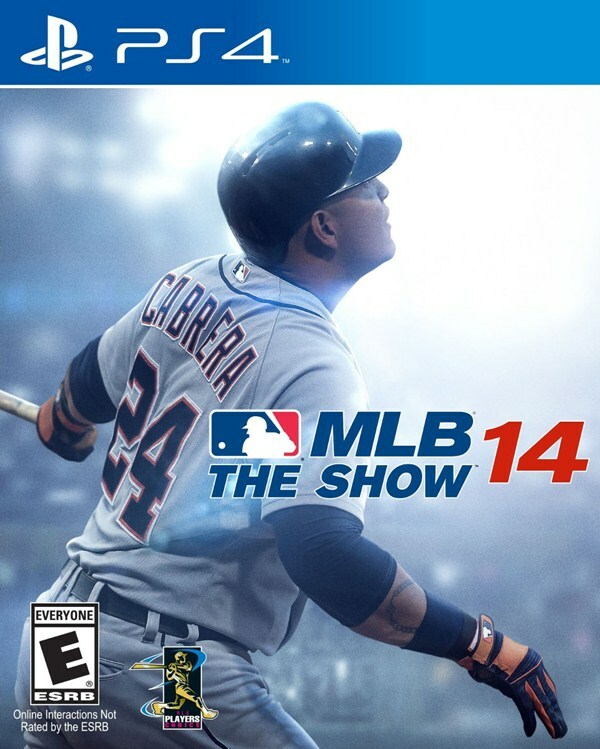 MLB 14: The Show is set to be the ninth entry into the MLB: The Show franchise, this time featuring baseman of the Detroit Tigers Miguel Cabera as the featured player on the cover, whereas Canada will receive a unique cover featuring Toronto Blue Jays Brett Lawrie instead. Play by Play (audio commentary of a current sporting event as it unfolds) sportscasting will be provided by Matt Vasgersian, Steve Lyons and Eric Karros, with Mike Carlucci (who has worked alongside Sony Computer Entertainment on a number of sporting titles) returning as the professional Announcer for the game. Ramone Russell has said that there are over 50 improvements being made to the game, ” there are more than 50 new features and improvements that will enhance, deepen, streamline, and better your overall experience. Quick Counts will cut game completion times in half. A new UI, built from the ground up for PS4 (but carried over across all versions) has been optimized for maximum efficiency and responsiveness.” At time of writing, the only real major improvements that are readily available are improvements to the visuals which are available via the official MLB 14: The Show site.